Because when two of my favorite ladies called to collaborate on a weekend shoot in San Francisco, I'm coming! 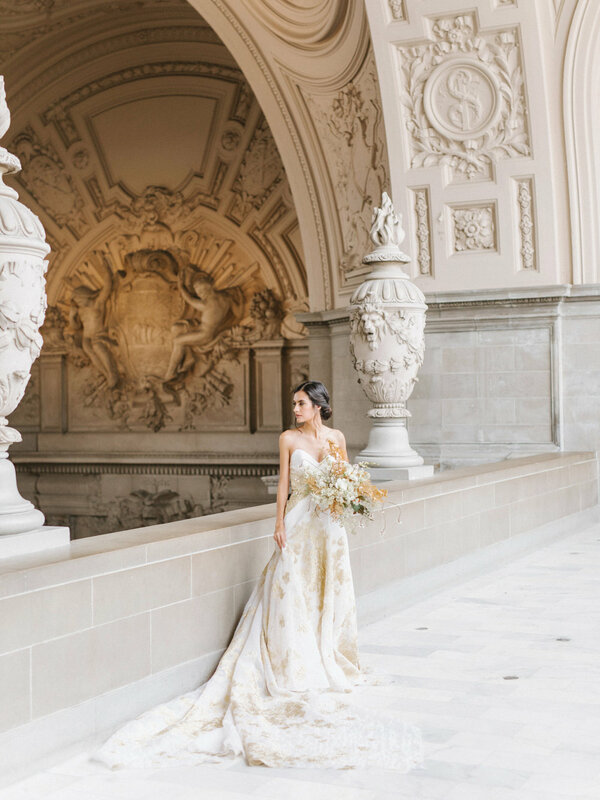 One of the gorgeous results from back-to-back shoots with Tenth & Grace and Chole+Mint is this glittery gold perfection with San Francisco City Hall as the ultimate backdrop! Our main inspiration came from Carol Hannah new gold cloque ball gown and the matching veil with shiny gold flakes! The ultimate show stopper! 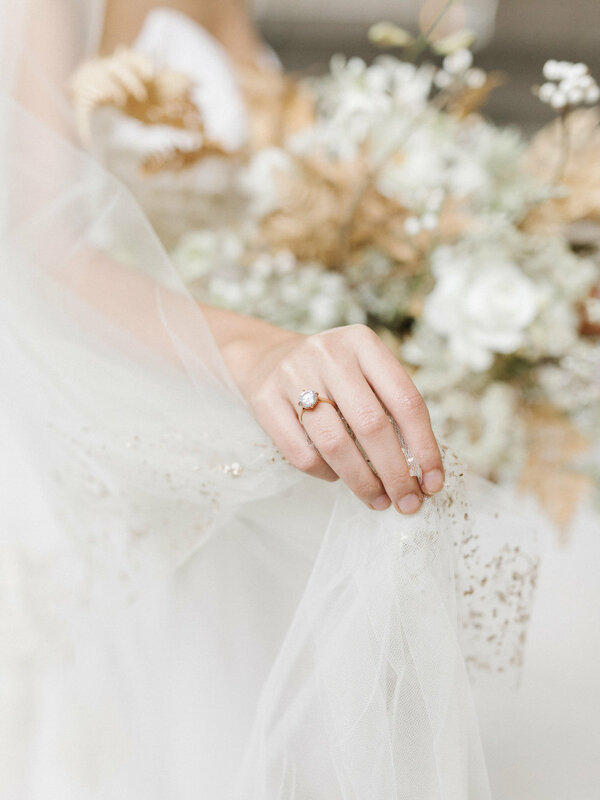 A little bit of gold is carried everywhere, from the shoots to the golden fern by The Bloomery Co. to the gorgeous marbled gold ribbon by Silk and Willow. For me, I know I want to add those gold specks in my suite with liners and invitation suite. I want to tie in the bridal shoes by Bella Belle with the delicate floral illustration and represent the gorgeous Beaux-Art architecture with the detailed borders. I add a tad more gold with the vintage stamps and peony wax stamp. Keeping with the subtle palette, I add a bit more textures with Share Studio bespoke handmade Kozo envelopes with Silk and Willow marbled walnut to complete the look. And since no wedding is complete without "something blue", I'm finishing the suite with light blue Arpa envelope to match Amonie velvet ring box! As a bonus, it's the very first shoot where my little vow books made an appearance you guys! Don't forget to check this little guy out and hopefully grab one for yourself! Lastly, I hope you guys love this shoot as much as I do!